A recent study by Allianz Life Insurance Co. of North America reported that individuals of Generation X and the Baby Boomer generation both have a majority of negative feelings when it comes to retirement. 1. 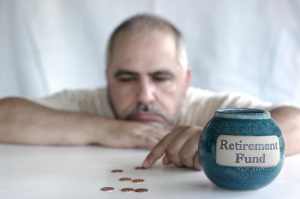 “The future is uncertain.” Well, yes, no one can really predict the future, but what I will say is that despite not being able to determine the market and economy at the time you retire, you can still save and plan for accordingly. It may be unpredictable but that is all the more reason to set some plan in place for scenarios A, B, and even possibly C.
3. “I have too much financial responsibility now to put money away for the future.” The demands of work, family, health, and keeping up with the Joneses are taking precedence for planning for the future. But the problem is, if you don’t plan for it, you won’t have one at all. Remember the fable about the ants who worked all summer to prepare for the winter? And the grasshoppers who played instead then starved? Yeah, that fable. It resonates, does it not? I don’t know about you, but all of the reasons listed seem like even MORE reason to start saving for retirement and enlist the help of a professional, and yet the study concludes with most Gen Xers and Baby Boomers stating that when it comes to retirement, they’ll worry about it tomorrow and feel that somehow, it will all work out. Is it an ignorance is bliss situation? Possibly. But don’t expect any bliss when retirement sneaks up on you and pulls the rug out from under you. For all the doom and gloom these generations feel towards retirement, it reconfirms the need to put some plan in motion. Something. Anything. And still some wonder why we are headed towards a retirement crisis.